Open and support the rear liftgate assembly. Remove the liftgate trim finish panel. Refer to Liftgate Trim Finish Panel Replacement. 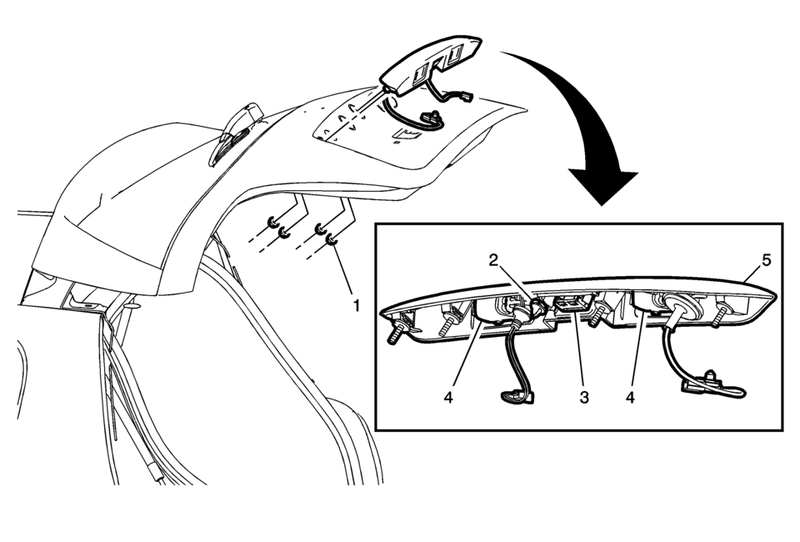 Remove the four nuts securing the liftgate side applique to the rear liftgate outer panel. Release the liftgate side applique center retainer from the liftgate panel. Remove the rear license plate lamps. Refer to Rear License Plate Lamp Replacement.